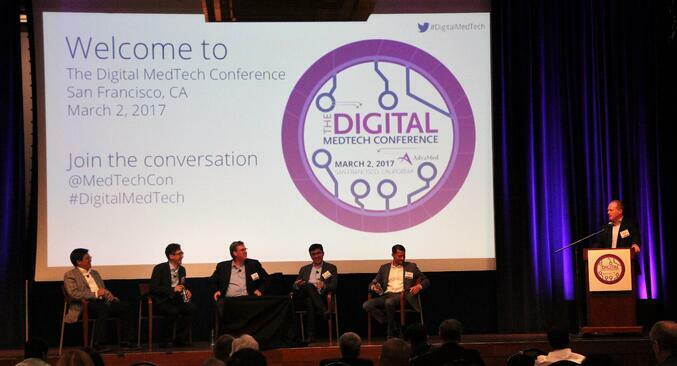 Last week, we hosted The Digital MedTech Conference in San Francisco, CA, AdvaMed’s inaugural digital health conference. Joined by more than 260 health tech professionals, 23 expert panelists, nine sponsor organizations, and two partner organizations, we spent the day diving deep into what today’s digital medtech landscape looks like. Throughout the day, our panelists and attendees took a hard look at the state of digital medtech, covering topics like innovation, FDA regulation, investment opportunities, cognitive health, and more. By the end of the conference, one thing was clear: we have only just begun to scratch the surface of digital medtech, but for the industry to be as successful as possible, we will need to come together to shape regulation, share business process and economic findings and find ways to better-engage patients. When is the future of healthcare? Now. How does FDA plan to address the digital health industry? We want to thank all of the expert speakers and moderators for making The Digital MedTech Conference such a success. While the discussions that took place during the day were undoubtedly an insightful look at the state of digital health technology, it is still very clear that we have a long way to go to make digital health as impactful as it can be. We look forward to continuing the digital health conversation at The MedTech Conference in San Jose, CA on September 25 - 27, 2017. We hope you'll join us there (and take advantage of early bird pirces today! )!